Sparta was a prominent city-state in ancient Greece. On the 4th (Thu), kick back and relax at Mavrovouni Beach and then kick back and relax at Skoutari Beach. Here are some ideas for day two: explore the ancient world of Mystras. For traveler tips, reviews, where to stay, and other tourist information, you can read our Sparta vacation builder. Use the Route module to find suitable travel options from Toronto, Canada to Sparta. The time zone difference when traveling from Toronto to Sparta is 7 hours. When traveling from Toronto in August, plan for a bit warmer days and about the same nights in Sparta: temperatures range from 38°C by day to 22°C at night. 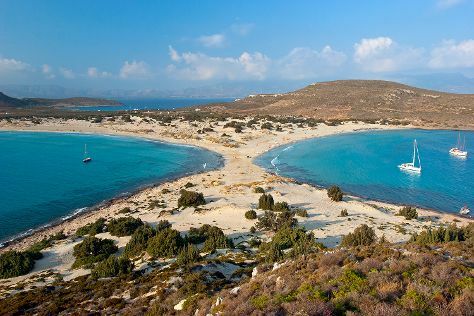 Wrap up your sightseeing by early afternoon on the 5th (Fri) to allow enough time to travel to Elafonisos. Elafonisos is a small Greek island between the Peloponnese and Kythira. On the 6th (Sat), tour the pleasant surroundings at Megali Paralia and then kick back and relax at Simos beach. To find ratings, reviews, where to stay, and tourist information, read our Elafonisos sightseeing planner. Use the Route module to find suitable travel options from Sparta to Elafonisos. On the 7th (Sun), you'll travel to Nafplio. On the 8th (Mon), see where the action happens at Epidaurus Theater. Keep things going the next day: take the plunge with a skydiving experience, explore the activities along Corinth Canal, and then explore the activities along Vouliagmeni Lake. To see ratings, maps, photos, and other tourist information, you can read our Nafplio trip planner. The Route module can help you plan travel from Elafonisos to Nafplio. Finish your sightseeing early on the 9th (Tue) so you can drive to Athens. When in Athens, make a side trip to see Temple of Poseidon Sounion in Sounio, approximately 58 minutes away. And it doesn't end there: delve into the distant past at Acropolis of Athens, admire the masterpieces at Benaki Museum, take a stroll through Plaka District, and get engrossed in the history at National Archaeological Museum. To find where to stay, reviews, maps, and more tourist information, you can read our Athens trip itinerary maker. Traveling by taxi from Nafplio to Athens takes 2 hours. Alternatively, you can take a bus. Expect a daytime high around 39°C in August, and nighttime lows around 28°C. Wrap up your sightseeing on the 12th (Fri) early enough to fly to Fira. 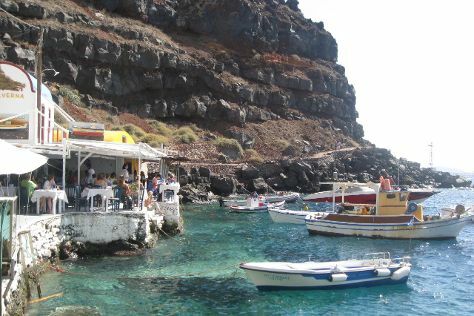 You'll explore the less-touristy side of things at Amoudi Bay and Akrotiri. The adventure continues: enjoy the sand and surf at Perissa Black Sand Beach, indulge your senses at some of the top wineries in the area, take in the dramatic natural features at Skaros Rock, and delve into the distant past at Ancient Thera. To see maps, photos, traveler tips, and more tourist information, refer to the Fira trip planner. Traveling by flight from Athens to Fira takes 2.5 hours. Alternatively, you can ride a ferry. While traveling from Athens, expect little chillier days and about the same nights in Fira, ranging from highs of 35°C to lows of 28°C. Wrap up your sightseeing on the 17th (Wed) early enough to fly to Athens. 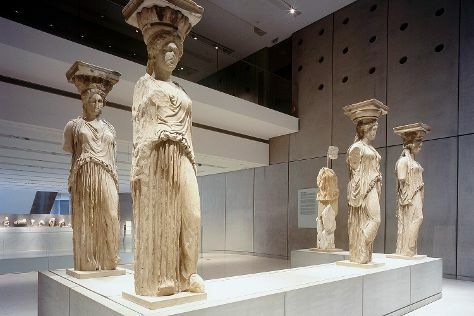 Start off your visit on the 18th (Thu): examine the collection at Acropolis Museum, then appreciate the history behind Erechtheion, and then explore the ancient world of Acropolis of Athens. For photos, more things to do, ratings, and more tourist information, refer to the Athens itinerary maker. You can fly from Fira to Athens in 2.5 hours. Alternatively, you can ride a ferry. When traveling from Fira in August, plan for somewhat warmer days and about the same nights in Athens: temperatures range from 39°C by day to 28°C at night. Wrap up your sightseeing on the 18th (Thu) to allow time to travel back home.